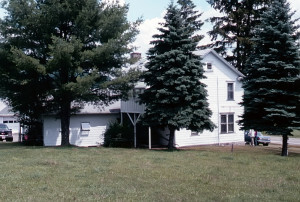 Josiah Stowell home near Afton, NY. Photo (2006) by Kenneth Mays. Born in New Hampshire in 1770, Josiah Stowell (also Stoal) eventually moved to and settled in South Bainbridge, Chenango County, New York. 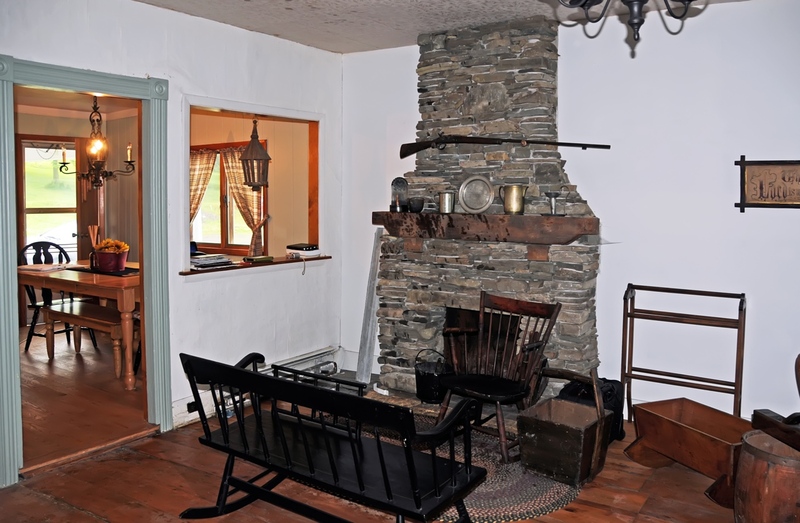 Since 1857 the village has been known as Afton. Mr. Stowell hired the Prophet Joseph Smith to assist him in his efforts to look for Spanish treasure. 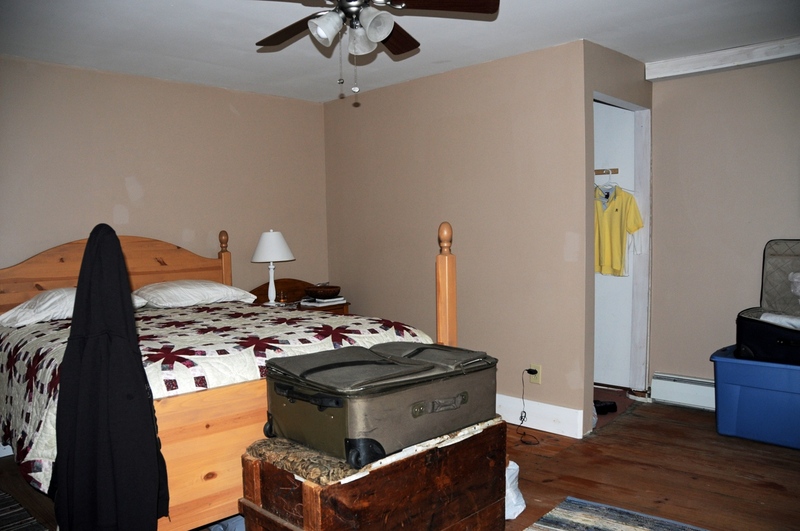 Rumor said that the treasure was buried in the area of Harmony, PA (now Oakland) nearly thirty miles away. Joseph was not long in his employ, at least as one digging for treasure; that job lasted a matter of a few weeks. However, it was during that period when Joseph boarded with the Hale family and met Emma Hale, whom he would later marry. 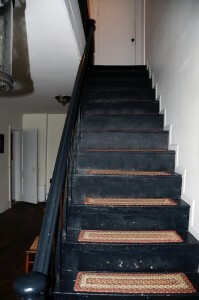 Stairway inside the Josiah Stowell home near Afton, NY. Photo by Kenneth Mays. 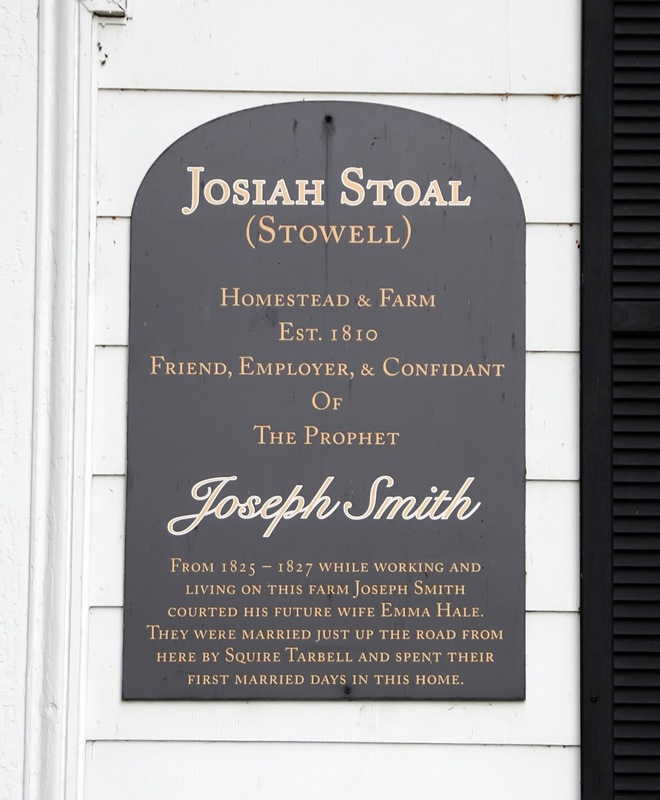 Joseph Smith’s publishes history notes that Joseph was in Mr. Stowell’s employ when he and Emma were married in January 1827. Tradition holds that Joseph and Emma might have stayed in the Stowell home right after they were married, before moving back to Manchester. Stowell may have been the one to give them a ride there so the newlyweds could stay with Joseph’s parents. 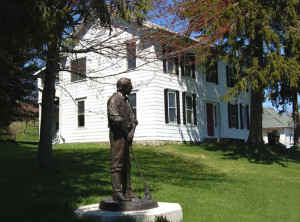 Some Historical accounts note that Stowell accompanied Joseph Knight when he stayed with the family of Joseph Smith Sr. in Manchester, NY on September 21-22, 1827. That was the night that Joseph Smith Jr. received the plates containing the record of the Nephites from Moroni. 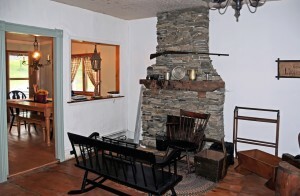 Interior of the Josiah Stowell home near Afton, NY. Photo by Kenneth Mays. 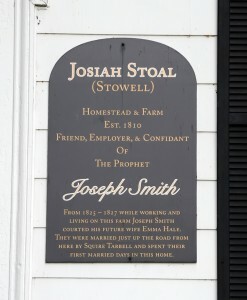 Josiah Stowell was baptized into the Church of Christ in 1830. He did not go with most members of the Church when they moved to Ohio in 1831. He eventually moved to Smithboro, Tioga County, NY where he passed away May 12, 1844. 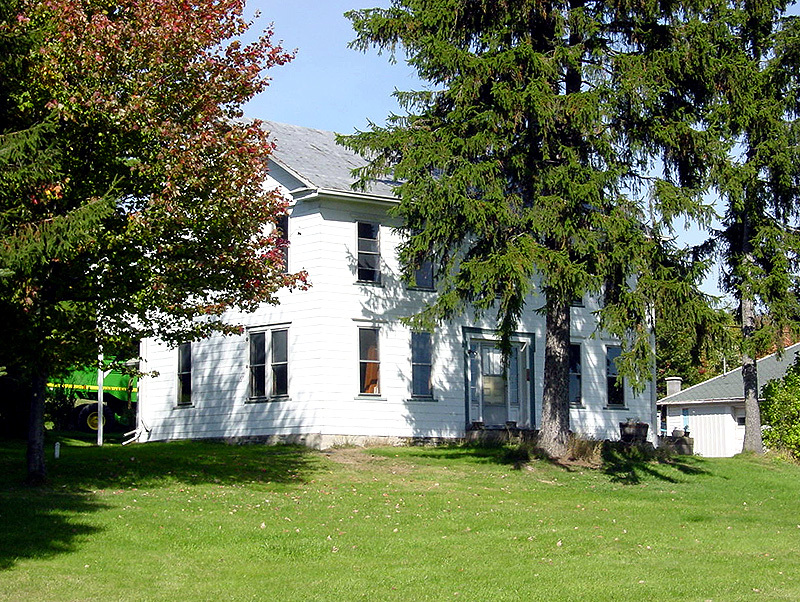 The Josiah Stowell home is located in Chenango County, NY on state road 7 at number 323. 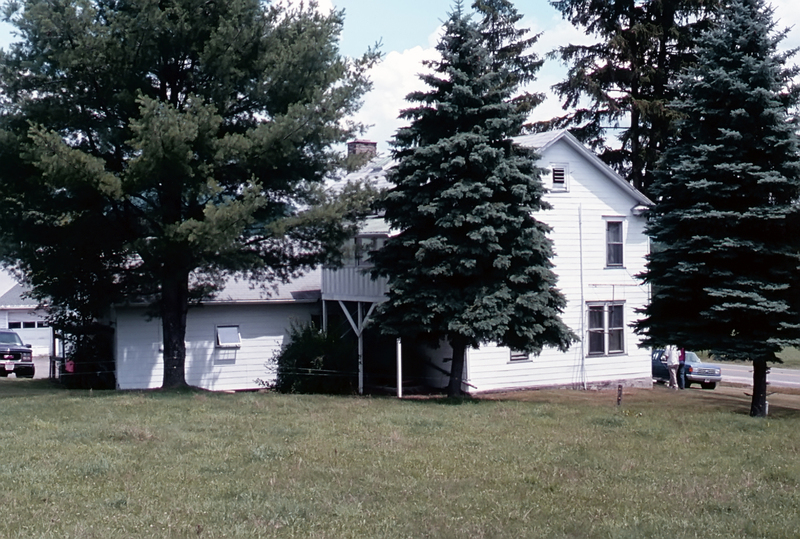 It is 3 miles south of the village of Afton, (South Bainbridge in Joseph Smith’s day). 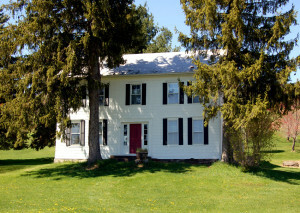 The Susquehanna River flows nearby southeast of the home. The gps coordinates are: 42°12’37.09″ N 75°35’06.17 W.
Josiah Stowell home near Afton, NY. Photo (1999) by Kenneth Mays. Josiah Stowell home near Afton, NY. Photo (2001) by Kenneth Mays. The Joseph Smith Papers, Histories Series, Vol. 1, 632. Larry C. Porter, in LaMar C. Berrett, ed., Sacred Places, Vol. 2, 118-121.